Hi, fitness peeps! I wanted to wish you all a Happy Valentine’s Day but alas, I am a day late. Nevertheless, it’s time for this month’s edition of Random Thoughts. I’m pleased to announce the next Glute Lab Seminar has been scheduled for March 18, 2017. The cost to attend is $399 and there are 13 spots remaining for this event. If you would like to reserve a seat, reach out to my assistant at maleah@bretcontreras.com. In the morning, I will lecture on the science of glute training and program design. You will receive a PDF of the slideshow, which I update each month to include all the latest research. All of my past attendees receive a new pdf every time it is updated. After a catered lunch, we will then have a learn-by-doing practical where I will showcase the mechanics, cueing, variations, and progressions of glute bridges, hip thrusts, squats, deadlifts, back extensions, split squats, hip abduction, and more. To finish the day, we’ll have a Q and A, we’ll take some fun pictures, and you’ll receive some free gifts (Ares Sports Rub and Squat Sponge stepped up and sent me some merchandise). You will leave much more confident and knowledgeable about your glute training and strength training in general. My attendees are always happy with their decision to attend. 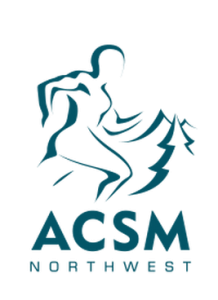 I will be presenting (this weekend) at the 2017 ACSM Northwest Annual Meeting in Bend, Oregon on February 17th-18th. If you are in the area definitely come check this out. You can find out more info and see the schedule HERE. Thanks to Omar Isuf for featuring this on his YouTube channel. 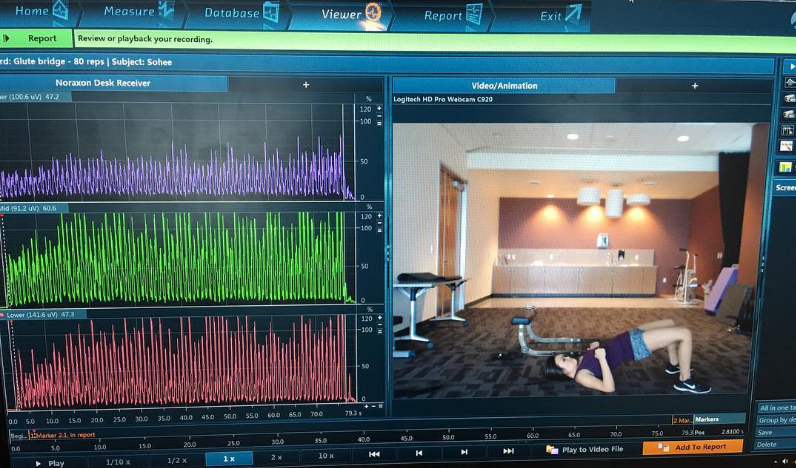 I’m conducting three gluteus maximus EMG studies at ASU over the next few months with Professor Erin Harper. We are looking for female volunteers, ages 20-40 with at least 3 years of training experience who are available for data collection on Wednesday from 11 am to 3 pm. If you are interested in this and you are a local to the Phoenix area, please send a quick email to maleah@bretcontreras.com and my assistant will get you on the list. My niece Gaby visited The Glute Lab the other evening and I filmed her demonstrating a highly effective glute circuit. My Strong by Bret workouts utilize many of these same movements. We’re getting ready to start a new workout cycle on Monday so hop on over at the link and take advantage of the risk free two-week trial offer. I recently sat down for a late night chat with Jacob Schepis of JPS Health and Fitness. We tackled a variety of topics ranging from my experience with training women to glute hypertrophy and mind muscle connection so there is a little something for everyone to enjoy. I’m here to pump you up with this awesome strategy for building muscle. You can see the details below the video but I really like this approach as it does not leave me sore and I am able to train full body the next day. 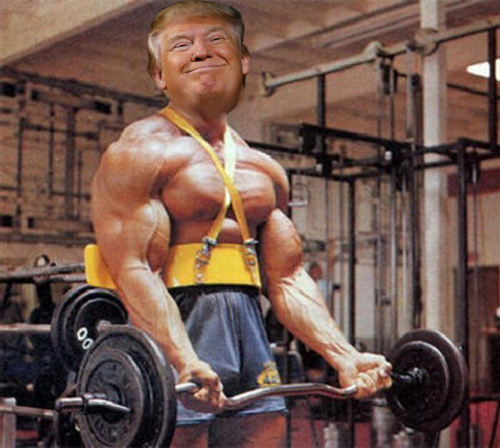 The pump is killer! 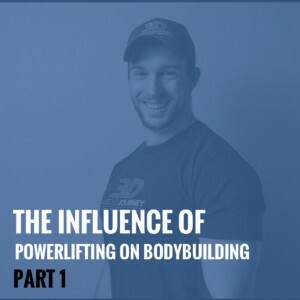 Recent evidence suggests that strength may be specific along the force vector and my man Chris Beardsley is here to tell you why this may be. Figuring out which exercises transfer best to athletic performance is an essential task for strength coaches. However, there are many different factors that likely influence the degree to which exercises transfer to key sporting movements, such as vertical and horizontal jumping, sprinting, and change-of-direction ability. One factor that has recently attracted a lot of attention is the "force vector" of the exercise. The force vector is the direction in which force is produced by the body, and the two most important force vectors are horizontal (anteroposterior) and vertical (axial). Horizontally-directed exercises (those which involve force production along a line between the back and the front of the body) are expected to be most effective for horizontal movements, such as horizontal jumps, sprinting, and change-of-direction ability. Vertically-directed exercises (those which involve force production along a line between the bottom and top of the body) are expected to be most effective for vertical movements, such as vertical jumps. This new study compared the effects of plyometrics training with either vertical or horizontal drop jump exercises on several measures of athletic performance (including sprinting), in elite male handball athletes. Before you head to your next DEXA scan, take a look at THIS article to learn how to standardize your measurement conditions for a more accurate prediction. Gary Taubes’ controversial anti-sugar book has, not surprisingly, garnered a lot of criticism. Check out THIS expert review of the book and some additional Taube’s criticisms HERE and HERE. Gurus and pseudo-experts peddling their specific brand of b.s. are a big problem in the health and fitness industry and I encourage all of my friends and readers to keep a look out for these types. THIS blog post lays out the distinct differences between a true expert and a guru and I definitely think it’s worth a look. How has powerlifting shaped bodybuilding training over the last decade? Should bodybuilders lift heavy…ever? My buddy Eric Helms wrote a great two-part series on this topic at the 3D Muscle Journey blog. Be sure and read part two of this series HERE. You subscribe to AARR, right? If not then you are majorly missing out. 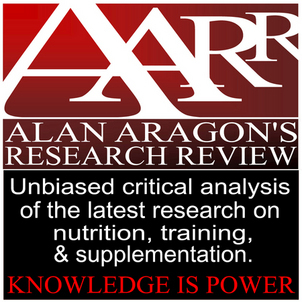 This incredible publication examines the latest in nutrition, training, and supplement research and none other than yours truly contributed to the last issue. I discussed leg curl and calf raise foot positioning for hypertrophy and you’ll need to subscribe to the review to read the deets. BJ Gaddour makes one helluva Cupid! Some of these moves are at the top of my list so get your sexercise on and give some of these booty-makin’ moves a try. My summer training partner Emily Thibault made this graphic to showcase good hip thrust form. Check it out! Alright, folks. That’s all I have to share for now. I hope you enjoyed the content and keep working those glutes!